^passages. This one volume contains all of Jensen's Self-Study Bible Guides to the ^Old Testament. 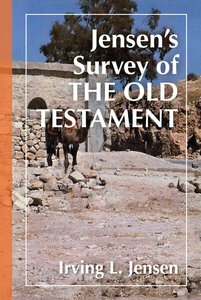 A useful survey of the Old Testament that will aid in understanding difficult ^passages. This one volume contains all of Irving Jensen's Bible self-study guides ^to the Old Testament. 5. Leviticus: "Ye Shall Be Holy"
16. Psalms: "Bless the Lord, Oh My Soul"
About "Jensen's Survey of the Old Testament"